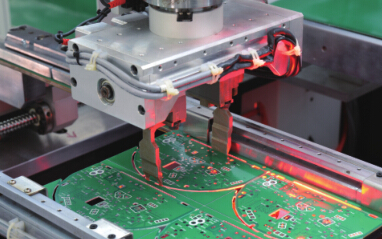 An on-line PCB which is specially used to cut PCBA components(panel) into separate parts, featuring rail-mounted structure without jig cutting. It can be put into production immediately. Featuring ESD static monitoring, cutting stress feedback, and automatic tool changing, it can reach a top speed of 60000 rotates. 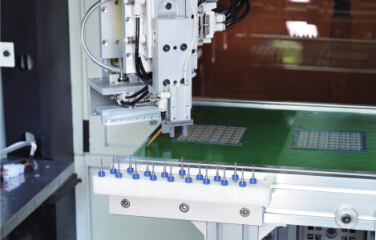 The control system developed on the basis of our RM system can ensure customer’s rapid and accurate programming. 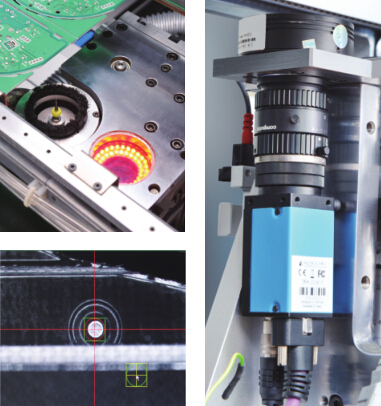 Germany KAVO high-speed principal axis with a top speed of 60000 rotates, featuring ESD static voltage monitoring and the functions of cutting stress feedback and automatic tool changing. supports all functions of machine calibration, compensation and positioning, featuring highstablility and anti-disturbance capacity. A perfect solution without jig cutting; A PCB clamping size scope of 2mm, the pick up device can realize repid loading/uploading, featuring high stability and low cost. 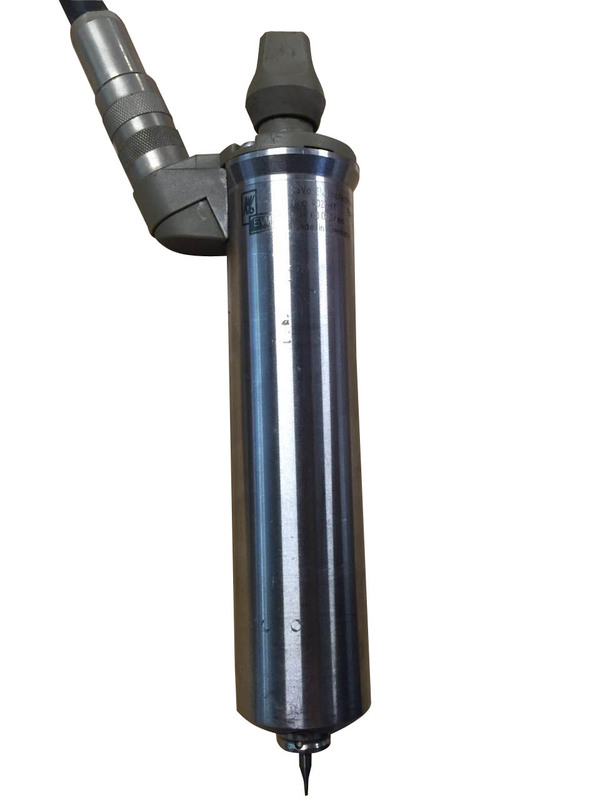 The standard tool changer supports three kinds of 3.175mm tools, each of which has a top loading Capacity of 10 ones. It is combined with precise clamping system and lifting system; three axes -X1,Y1 and Z1 of the cutting mechanism can realize tool changing. 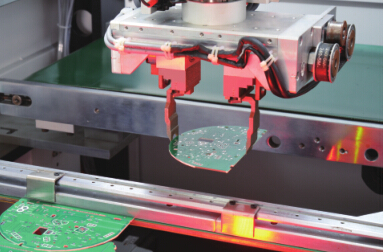 Panel forwarding solution 1: the cut PCB will be delivered by clamping system to belt transmission line, and then sent by ESD transmission line via machine into assembling line, or be picked up and loaded into product case by customized manipulator solution. Panel forwrding solution 2: use batch panel forwarding unit ARM-1 dismantle belt transmission line from machine, insert panel forwarding unit from behind the machine, and directly load the panel into blister box in ARM-1 via clamping system. The solution is featured By simplicity and convenience.